As much as I love Valentines Day I'm not a fan of the tat that's sold. Who needs a big red bear with a heart and a fluffy keyring that makes kissing noises? So we always make sure we do something rather than make it all about presents. My creative side gets the better of me and I end up making something. Usually it's a card but I went a step further this year. I decided to make a little (very simple) gift for Sam and I thought I'd share it with you too. 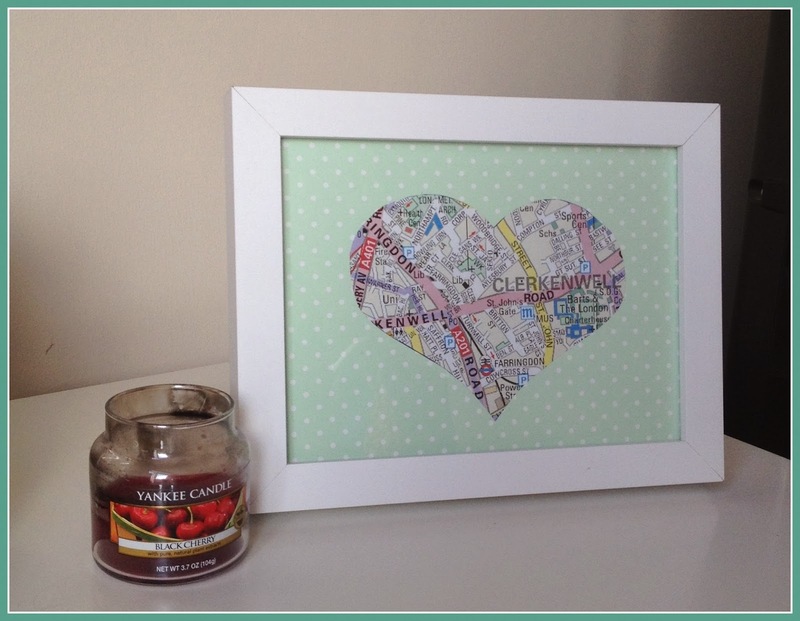 This is a really easy DIY Valentines Gift. Sam and I met working together at a photo studio in London. We spent a lot of time together around there, going for food, having drinks after work and going to sit in the park on our lunch breaks. There's some great memories from working there and the place means a lot to us. So This is simply a map of the place we met. It doesn't sound like much but I'm really happy with how it looks. 1. Print a map of the place you met, or a place that means something to both of you. Google Maps and Streetmap do the trick but you could even buy an OS map in the shops if you want to. 2. 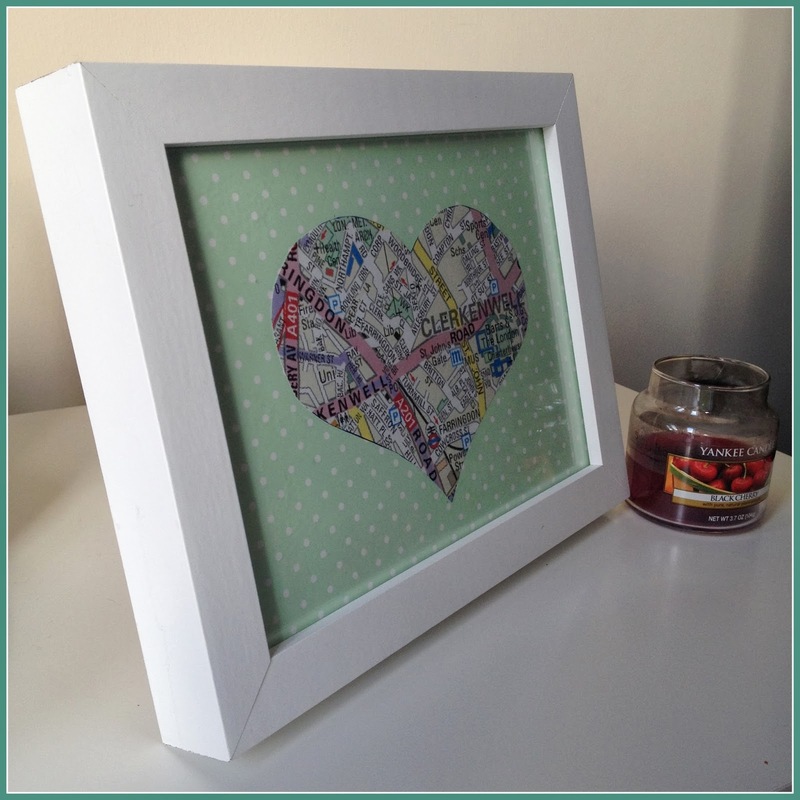 Cut a piece of card to the size of your frame and carefully cut a heart in the middle. It can be plain card but I chose a design that matched our bedroom. 3. Secure the map where you want it and glue it down. Make sure all the important places are on show through the heart. 4. Put the frame together and it's done! You could use 2 maps and have each side of the heart made of where each of you grew up. It's something that can continue as you grow up together. A map where you married, where you bought your first house... It's a really nice idea and it's so simple. Did you get given a fluffy kissing keyring?